The client service and personal attention I received from Johnson & Bryan, PLLC was exceptional. Furthermore, their knowledge of creditors and key settlement negotiations was exemplary. After patiently going through not just one Capital One lawsuit, but then requiring a 2nd one that Capital One was not only pursuing me for, but also my ex-husband, (which is a complicated, dated and sensitive situation) they could not have been more courteous while assisting me in every aspect. More importantly, they were swift in all inquires and never left any question I had unanswered, no matter how minute. Regardless of whether it was Capital One or another creditor, their efficiency and experience saved me thousands of dollars! I could not have asked for a better law firm to guide me through this process and could not have received any more support from another firm. I would highly recommend them to anyone. Los abogados eran muy dignos de confianza desde el principle, me trataron muy bien y son muy amables. Mi bancarrota fue rápido y facil, yo estaba muy contento con todo el trabajo que se hizo en mi caso. I needed legal counsel for a case and I was in another city! A legal matter is challenging when you are in the same city, much less a different one. They worked with me easily and kept me informed. We settled the case and I believe all was handled very fairly! This firm helped my family though a very stressful time while dealing with an issue that was over 15 years old. Very quick to respond to emails with any questions and very professional when meeting with them personally. I highly recommend them if you are in need of a lawyer. We received exceptional prompt service when we met with the Chad Johnson from Johnson & Bryan. The quality of service we received was very personal and informative regarding our accounts. They represented us well in resolving the credit card lawsuits with Capital One and CACH, LLC. We were so pleased with the results of our cases that we enrolled in their debt settlement/negotiation program. Since that time they have settled several of our accounts. 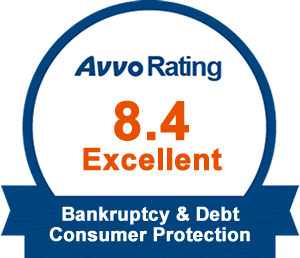 We highly recommend this law firm to anyone that has debt related concerns and questions. I would highly recommend this Law Practice. I called them when I was served papers and they consulted with me over the phone, answering all of my questions. I immediately hired Mr. Johnson and have been extremely satisfied. This firm is very professional and I would hire them again without a doubt. After losing one income due to an accident, credit card companies began constantly calling and demanding more and more funds…so I turned to Johnson & Bryan for help. Immediately after the first consultation, the attorneys at Johnson & Bryan stopped the harassing collection calls. Johnson & Bryan was able to resolve all my credit-related problems. What a relief it was to hear from them!!! In the past 2 years this law firm has gone above and beyond to help me with my financial issues. They have eliminated most of it and made it go away within the 1st year and are still taking care of the rest. Their rapid response to any and all communication has made this experience as pleasant as it can be considering the situation. If you need help this law firm is the definitely by far one of the best. After my consultation I hired Mr. Johnson's firm to handle debt problems I was going through and I know not every case turns out with positive results but for me two issues completely went away and for a third issue that debt was cut in half and I was allowed to make payments to resolve the matter in short order. The team at Johnson and Bryan will not and absolutely cannot legally promise you the results you may be hoping for but I can attest they are all friendly to work with and they will certainly try their hardest to help you through your financial difficulties and they will do it in the most professional manner. I have since recommended Mr. Johnson and will continue to do so. We have 1000's of additional satisfied clients, but we'd rather discuss what we can do for you! Just provide some basic information, and we will reach out with a free consultation. Speak with one of our experienced attorneys and discuss your specific case. No hassles, no costs, just great legal guidance. Let's get started!